FRESH EXTRA VIRGIN OLIVE OIL. EARLY HARVEST. limited edition. 1000 1 liter flasks. You can now order Fresh Consentido Extra Virgin Olive Oil harvested in November 2018. Try our oil at its most intense stage, recently harvested and pressed. It's bold, dense, unfiltered, full of flavours and aromas, and you'll witness how it evolves over time towards more subtle and balanced characteristics. Buy it now, and enjoy it at home in only a few days! Extra Virgin Early Harvest Olive Oil from Picuda, Picual and Hojiblanca olive varieties grown on calcareous soils of Designation of Origin Baena (Cordoba), Spain. Intense fruitiness of green olive with notes of freshly cut grass, bananced and sweet mouth with just dose of bitterness and spice. Suscríbete para recibir una notificación. Consentido FRESCO 2018 estará disponible a finales de Octubre o principios de Noviembre. Recuerda que recomendamos probarlo recién cosechado. Cuanto más Fresco mejor es la experiencia! This prices include Spanish VAT. Legal restrictions may apply in some countries. 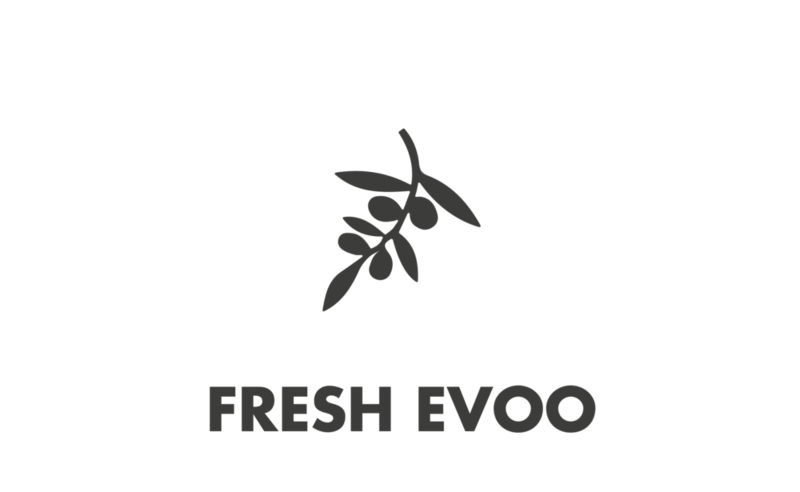 What does Fresh EVOO mean? EVOO means Extra Virgin Olive Oil. Fresh means freshly pressed. During first months the aroma and taste of the oil are primitive, intense, almost savage. As time goes by they evolve towards more mature, balanced and soft characteristics. Consentido wants you to taste and appreciate this evolution, till now secret and privilege of few, with this Limited Edition that will reach you just days after production. What is the best time to produce best EVOO? Consentido is harvested early, that is in late October or early November when olives contain best oil of incomparable quality and taste. This is when a chromatic composition of olives at different stages of ripening and optimal maturity can be observed. To produce best olive it is necessary to harvest when the fruit is green and when transition to black colour begins (stage known as envero). What distinguishes Designation of Origin Baena? The soils of Sub-Baetic mountain chain are calcareous, fresh and boast extraordinary water retention capacities. Consentido is produced from over a hundred year old olive trees from El llano del Espinar valley, a humid zone of balanced climate, free of frost and extreme temperatures. 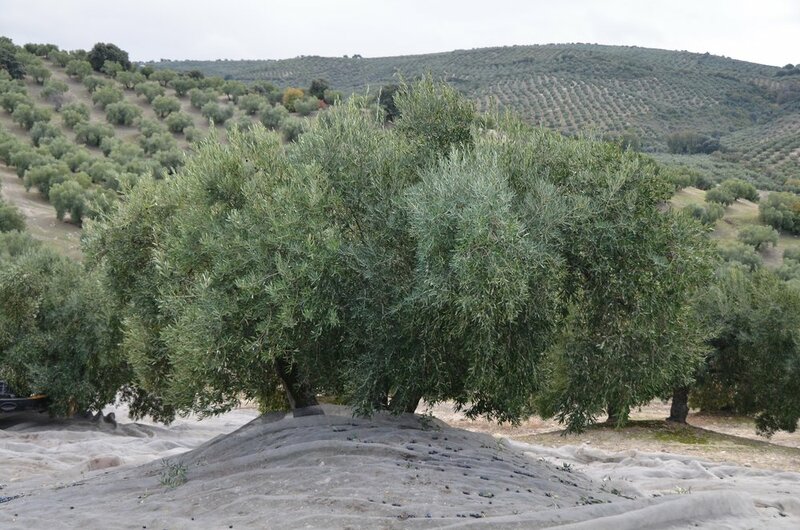 Olive varieties of Designation of Origin Baena are Picual, Hojiblanca and Picuda, the latter being the most emblematic to the region reaching higest quality, sweetness and of unbeatable balance. Passion may be enough to produce good oil, however only being in love with olive trees and showing respect towards nature at each step allows for such an extraordinary olive oil as Consentido. "Olive trees need to be pampered and happy. The tree comes first. Always." This is the philosophy Rafael Jiménez, our oil producer, has applied for more than 30 years. Care, attention and respect that he gives to his olive trees guarantee best fruit, and therefore the best olive oil. The Extra Virgin Olive Oil is born in Autumn, but it's arrival is prepared during the whole year. The olive fruit reflects the way the tree has lived; it's not only the climate but the treatment and care received that affects it. Soft harvest, natural forms of fertilization, pruning... everything affects the olive tree that is much more delicate than it seems. "Olive farm may seem easy to manage, as easy as growing a robust tree that does not require any care; however only when you live in it and observe it you realize that everything you do is noticed and reflected in its trees and oil." Rafael Jiménez. Well conserved and controlled soils, safe from any erosion. Naturally fertilized through grass and herbs cut at the time they flourish to transmit all the nutrients necessary to the tree. What others call weeds, we transform in great feast for our olive trees. Pruning is done in respectful way, having in mind well-being of the tree and not facility of harvest or space for machines and tractors. Pruning is done so that the tree crown is high to protect the wood from the sun. Clearing dead brunches allows sunlight to penetrate inside the tree so that the olives on the interior can reach the qualities of those in privileged space. This way trees produce better olives with more and higher quality oil and especially and stay strong and happy. Our olives are harvested twice, provided that not all the fruit ripens at the same pace. The tree is vibrated softly for a few seconds, without hitting and damaging the fruit. We understand that not all olives will fall as some need a bit more time. This first oil is Consentido. When the rest of the fruit reaches the optimum ripeness, the trees are vibrated again. This way, the olive tree is respected becoming stronger and healthier from year to year resulting in improved quality and quantity of fruit. Immediately after collection the olives are transported to the oil mill and cold pressed in double sieve mill. The oil is stored in vacuum tanks and then bottled before shipping. 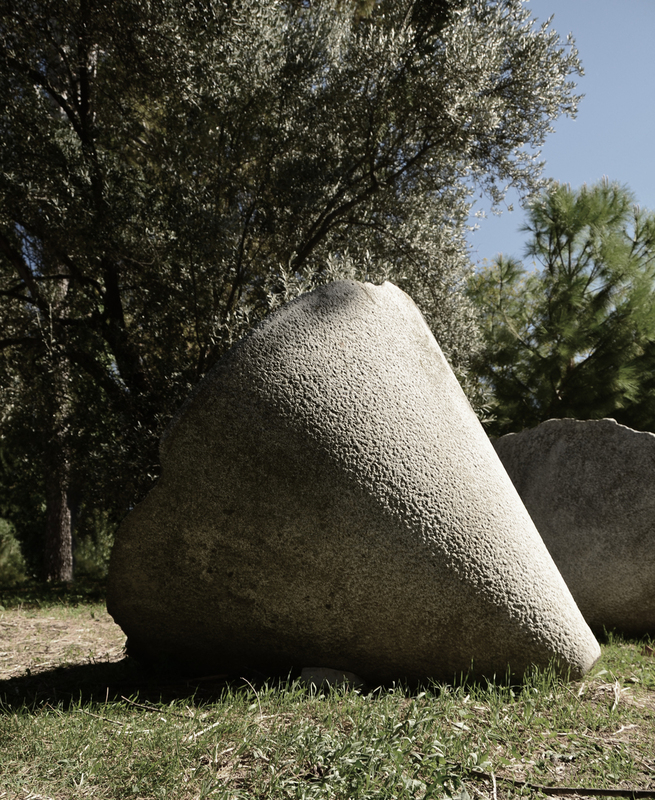 This delicate treatment follows millenia old Moorish harvest system called Ardaleo which consisted in multiple collections of mature and fallen fruit, sometimes helped by softly vibrating the tree, performed every other day.